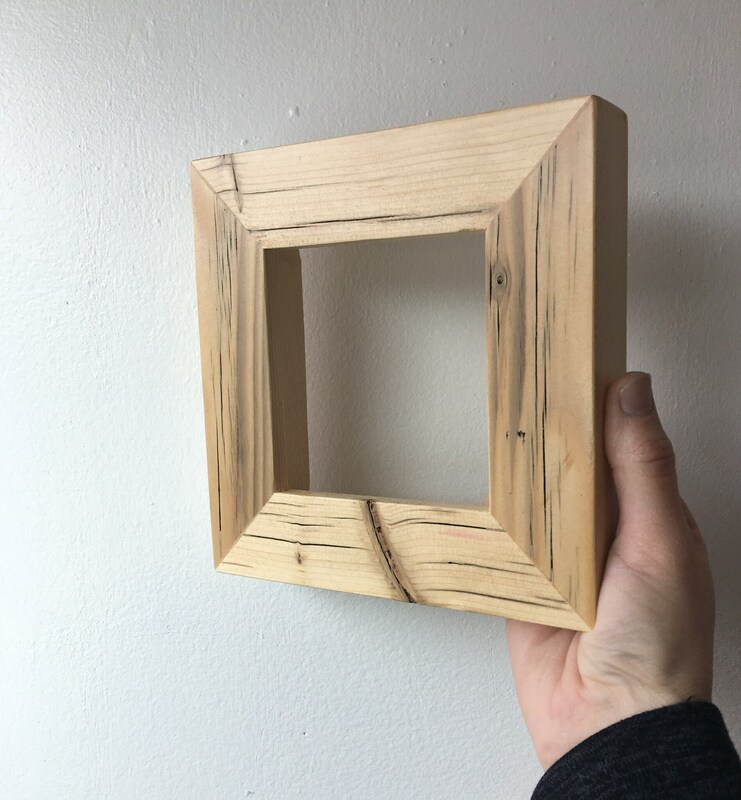 Choose your frame size - 3x3 up to 11x14 / 12.5x12.5 inches. 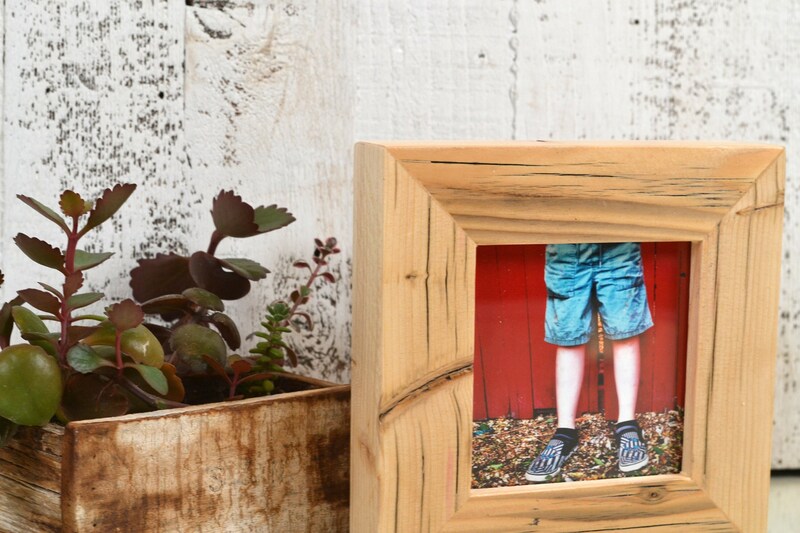 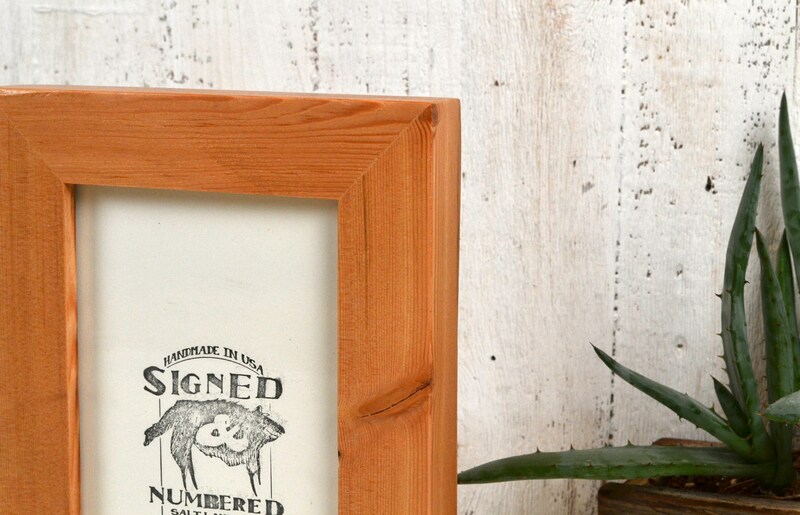 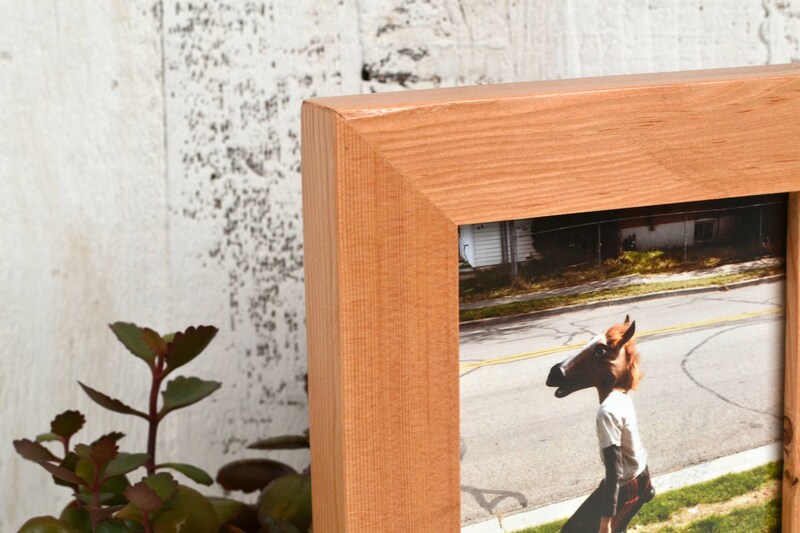 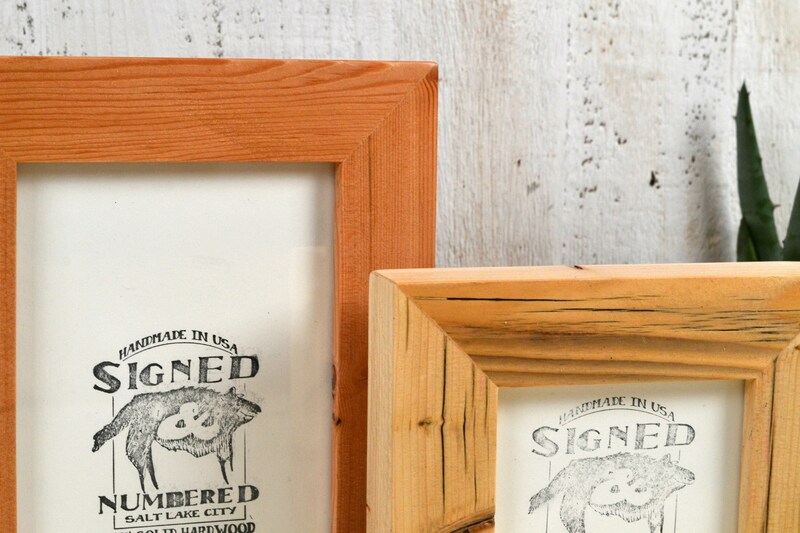 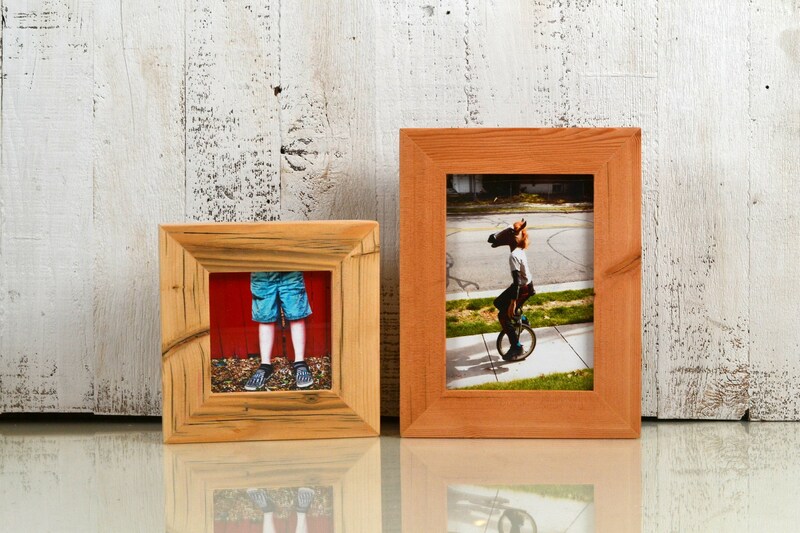 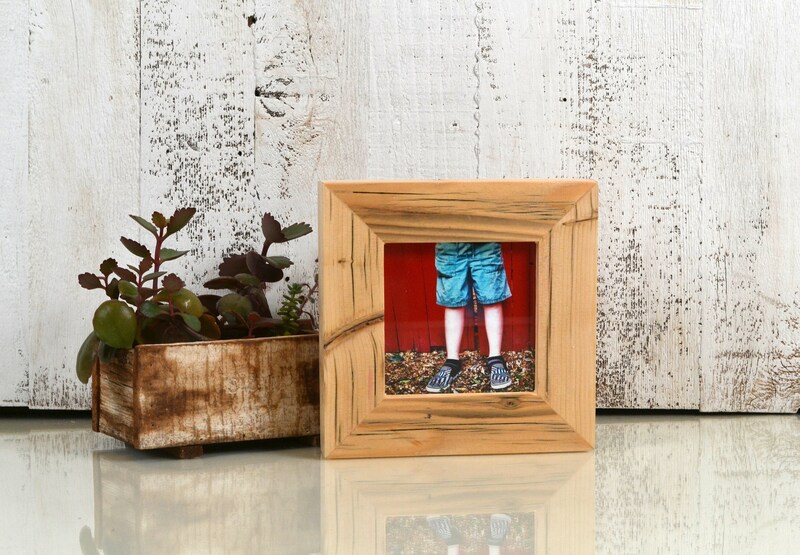 Handcrafted reclaimed chunky pine picture frame with a smooth polyurethane finish. 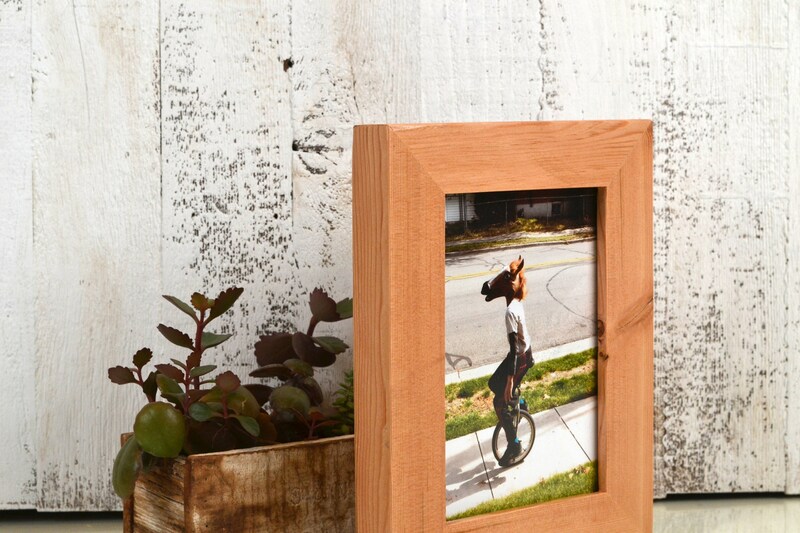 We source this wood from "standing dead" beetle-kill pines, as well as from old pallets, decks and construction wood. 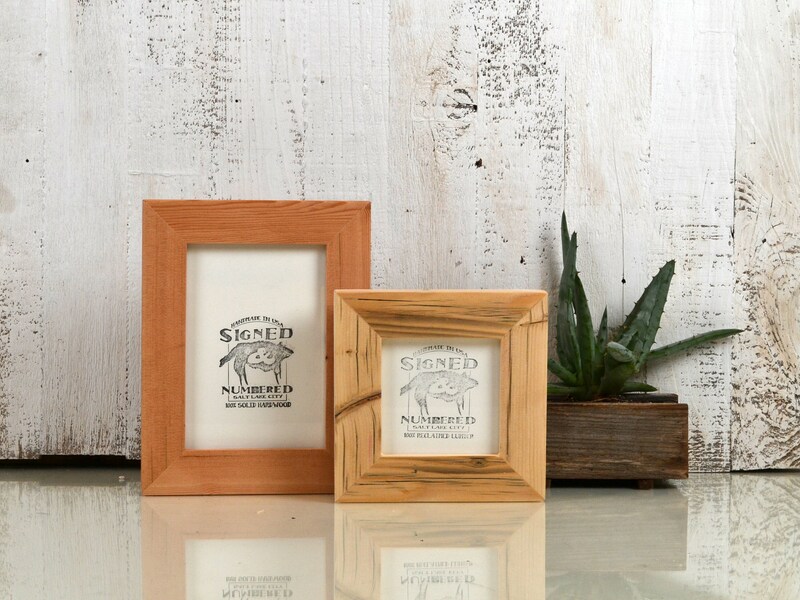 Since this wood comes from different sources and is left its natural color, no two frames will be exactly alike.